The holidays are coming and that means it’s the busy season for churches! 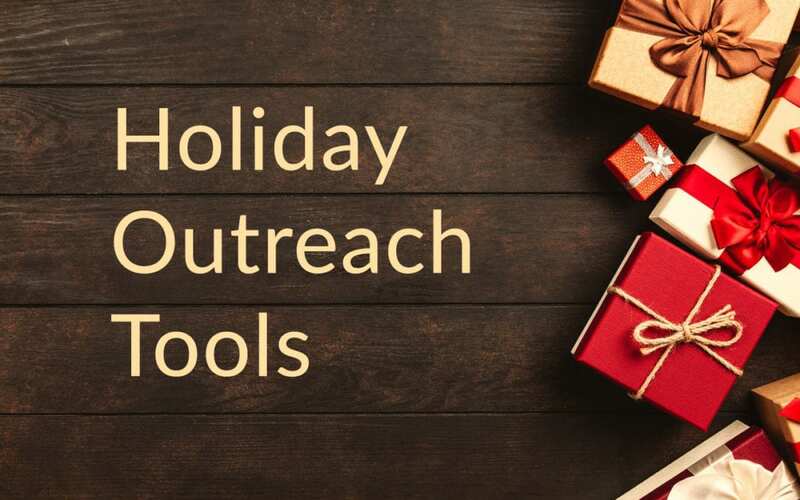 Check out some of our products below that are tailored to help your church make a great first impression with new visitors during the holiday season! 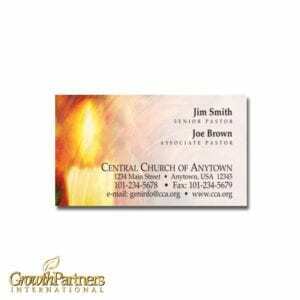 Calling Cards extend a warm invitation to your visitors and remind them of their visit in a personal manner. 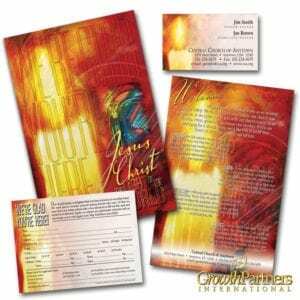 Available here in our vibrant Candle style with your information added: Pastor Name(s) and Title(s), Church Name, Address, Phone, Fax, E-mail and Website. 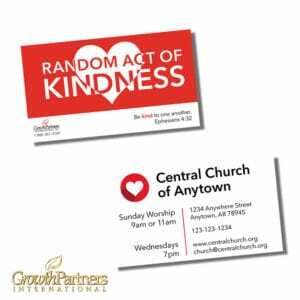 Our Acts of Kindness Cards are a great outreach tool for your congregation. The holiday season is often full of generosity. Encourage your congregation to make a difference in the community through random acts of kindness. 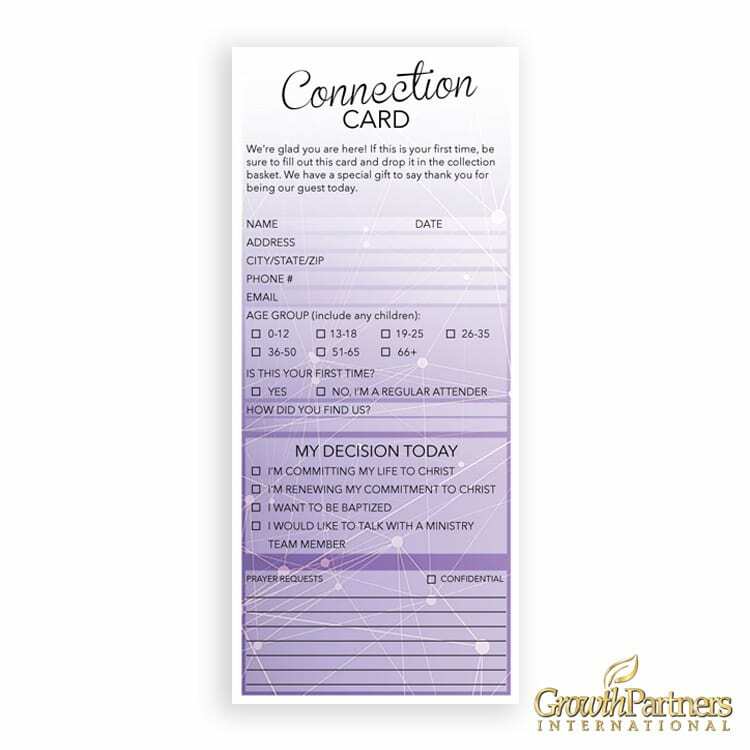 They can leave the card along with the act of kindness to as an invitation to your church! Our candle design welcome folder packages are perfect for Christmas! This vibrant Candle Folder Package catches the attention of your guests. 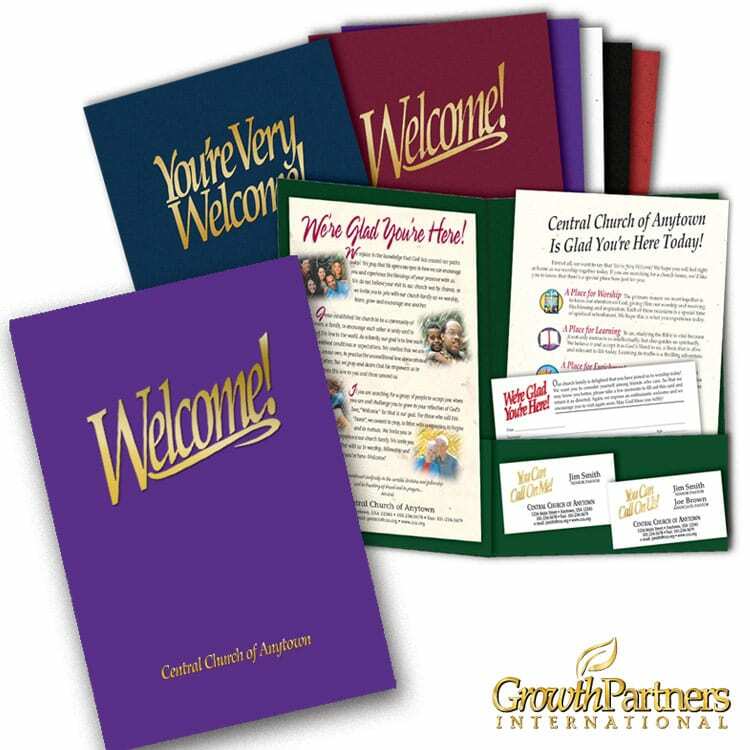 Just like our traditional Welcome Folder Package, it sends a warm and inviting message to show “how much you care”. The colorful two-pocket folder provides ample room to include a bulletin, CD event flyers and/or church schedules. As a small takeaway gift to all your Christmas attendees, consider a calendar magnet they can put on their refrigerator at home, a custom bookmark, or even a Bible ribbon. 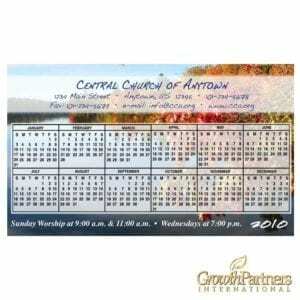 These little takeaways serve as an easy way to remind your visitors of your church throughout the year! 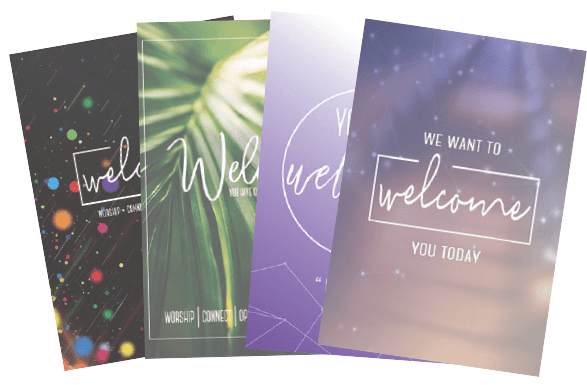 These special touches will make your church more inviting to your new guests, and potentially create a new connection in your church family!